It's a homegrown affair for the Vancouver Film Critics Circle as Kevan Funk's Hello Destroyer topped the Canadian prizes doled out by the BC crowd. Destroyer won the top prizes for Best Canadian Feature and Best Director. 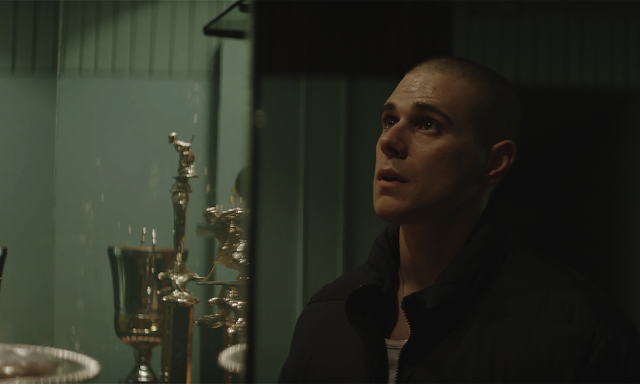 Fellow nominee and Canada's Top Ten pick Werewolf took the prize for Best First Film by a Canadian Director for Nova Scotia's Ashley McKenzie--a bit of a back handed compliment since Destroyer is also Funk's debut feature. Vancouver production Window Horses took the prize for Best Screenplay, while, in the night's best call, Molly Parker scooped the award for Best Supporting Actress for her flat-out brilliant performance in Bruce McDonald's Weirdos. Canuck Oscar bid It's Only the End of the World didn't even land a nomination, which means it got diddly from the nation's most prominent critics between Vancouver and Toronto. On the Toronto front, Hugh Gibson scored the award for Best Canadian Feature for his excellent and raw verité doc The Stairs, which deeply humanises the community in Toronto's Regent Park social housing district. Gibson's win carries a purse of $100 000, while runners-up How Heavy this Hammer and Operation Avalanche nab $5000 each.